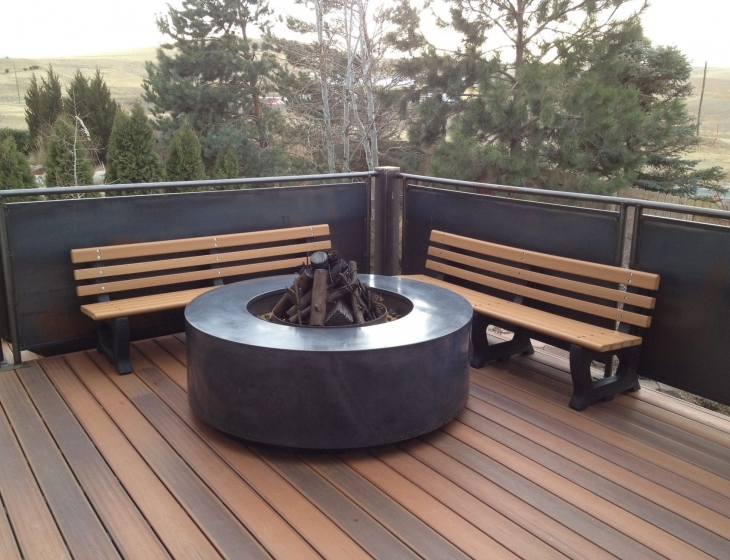 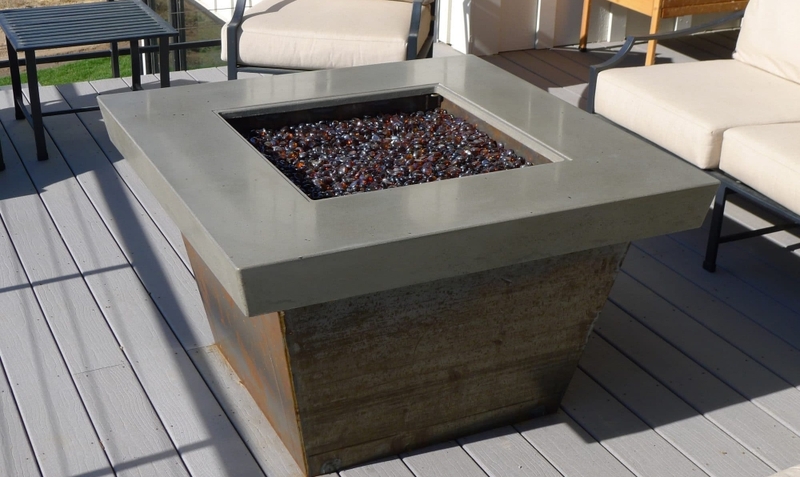 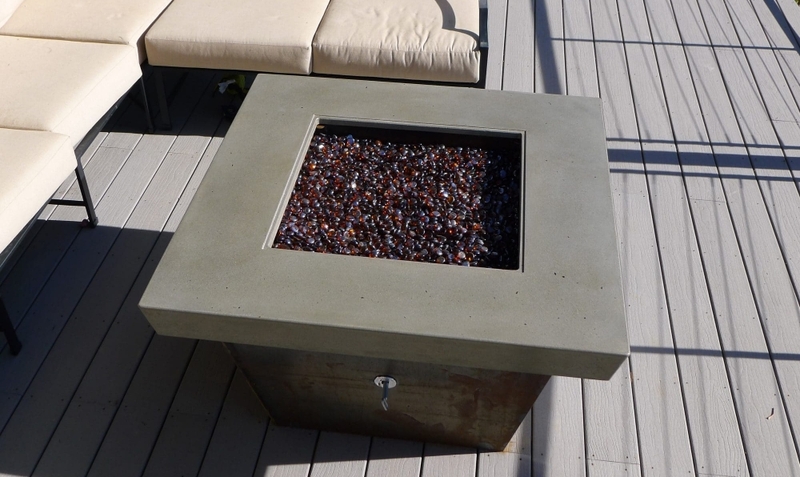 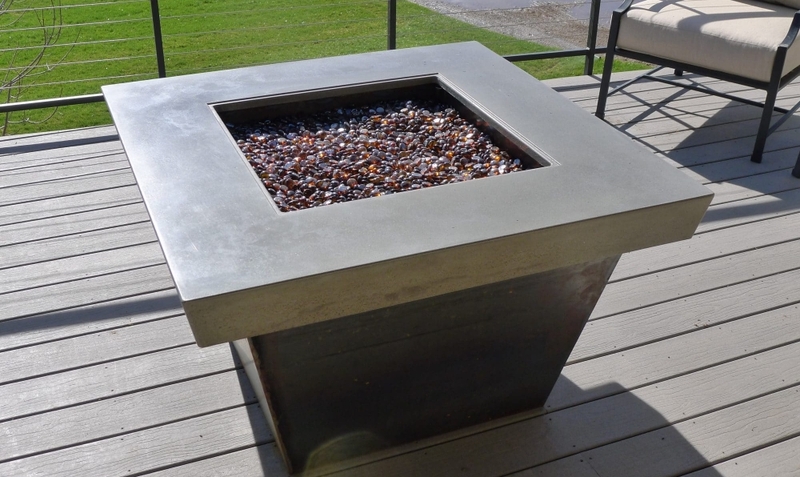 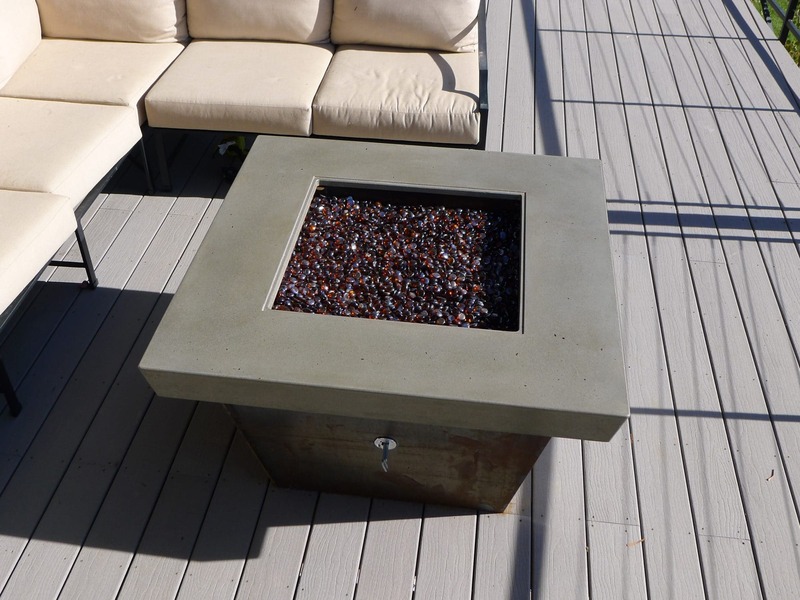 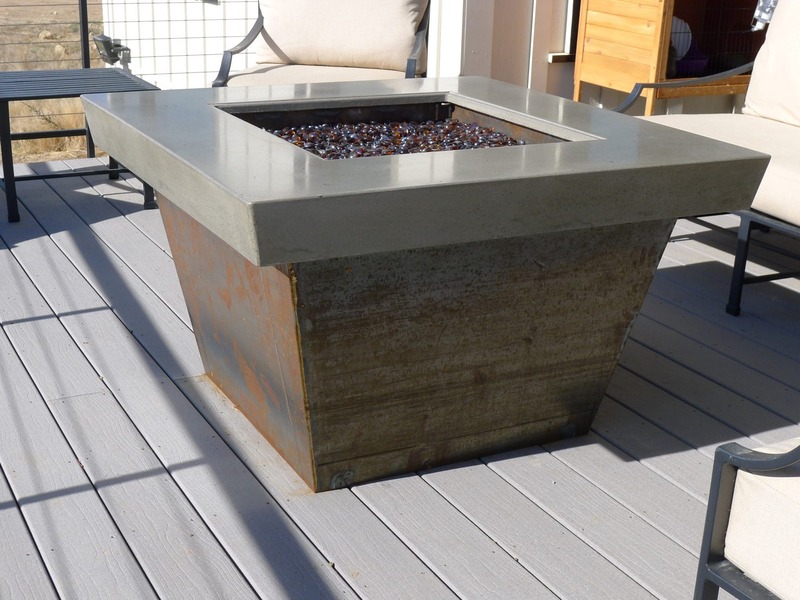 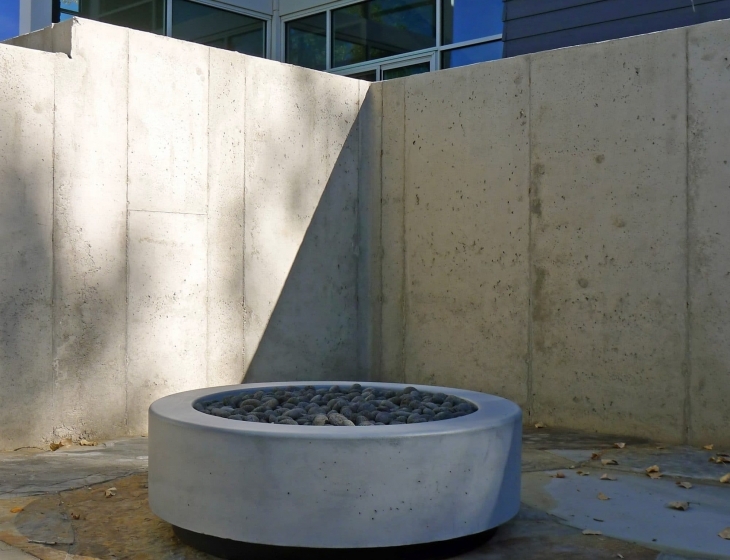 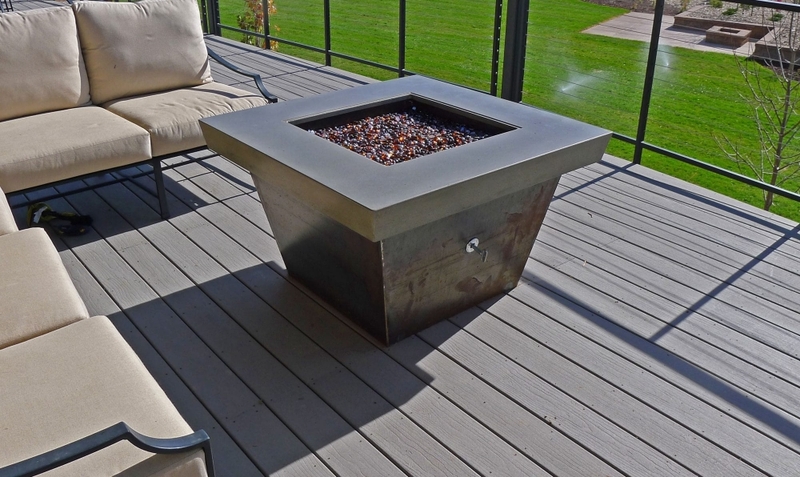 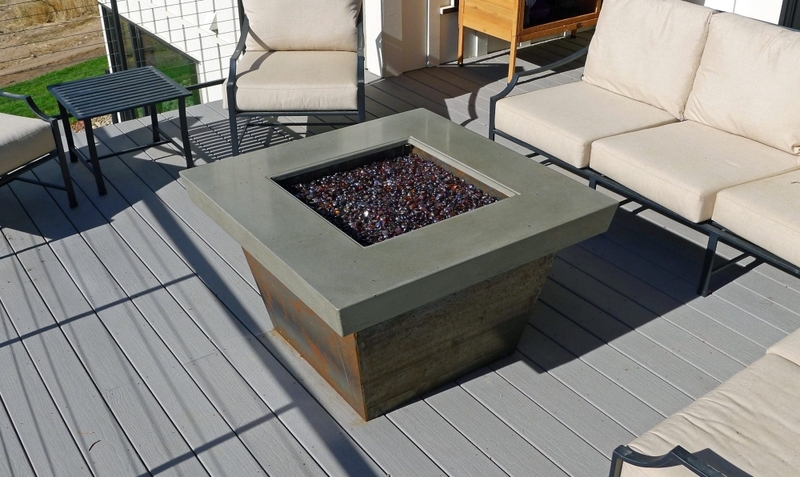 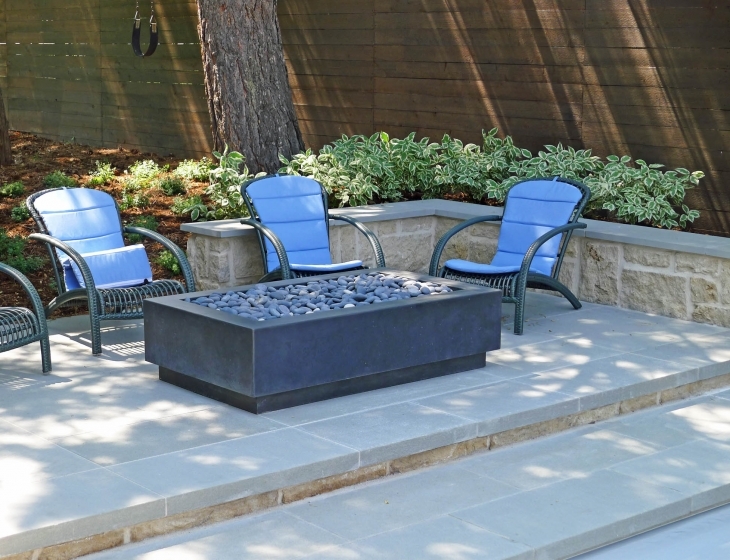 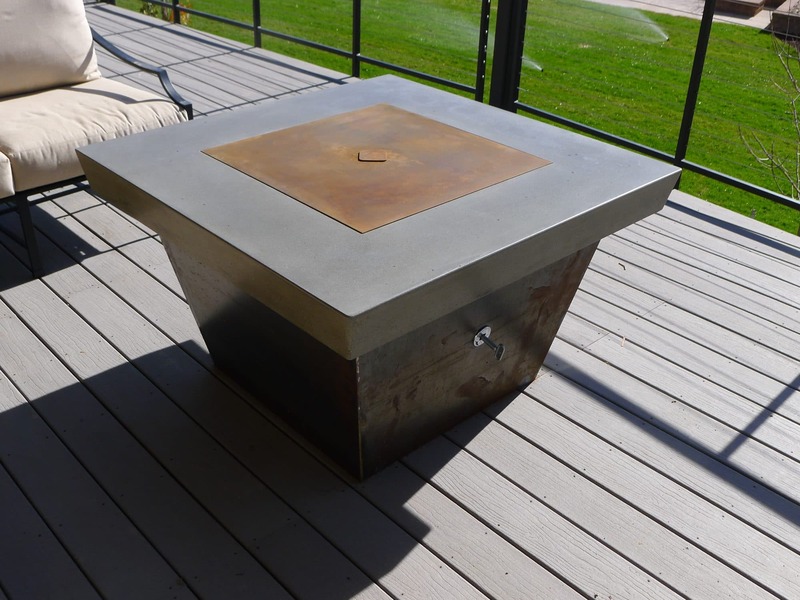 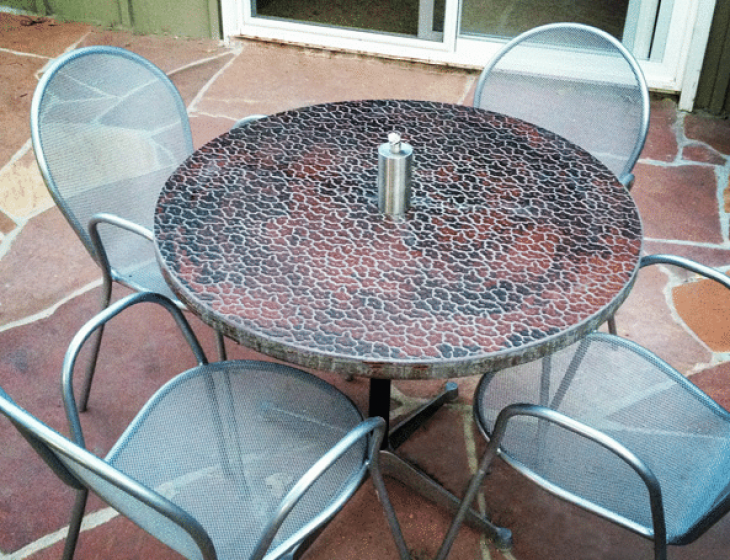 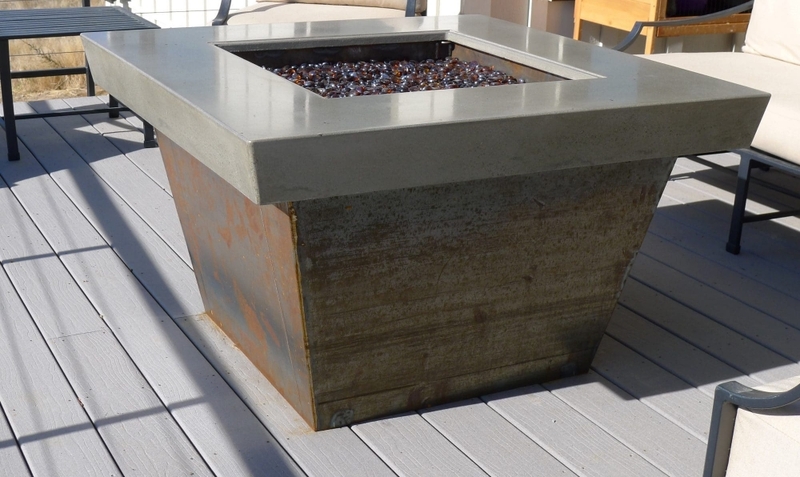 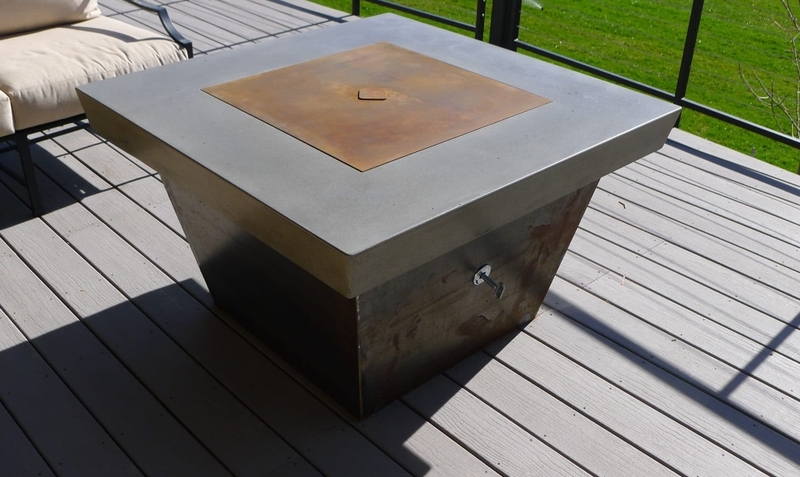 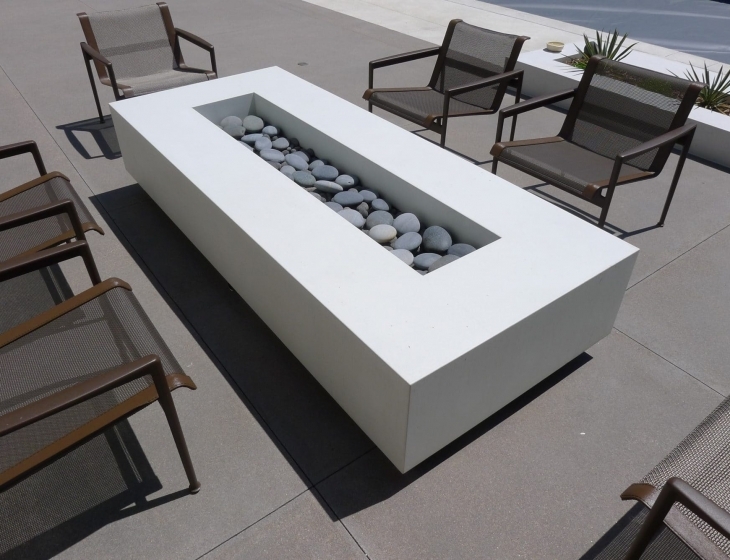 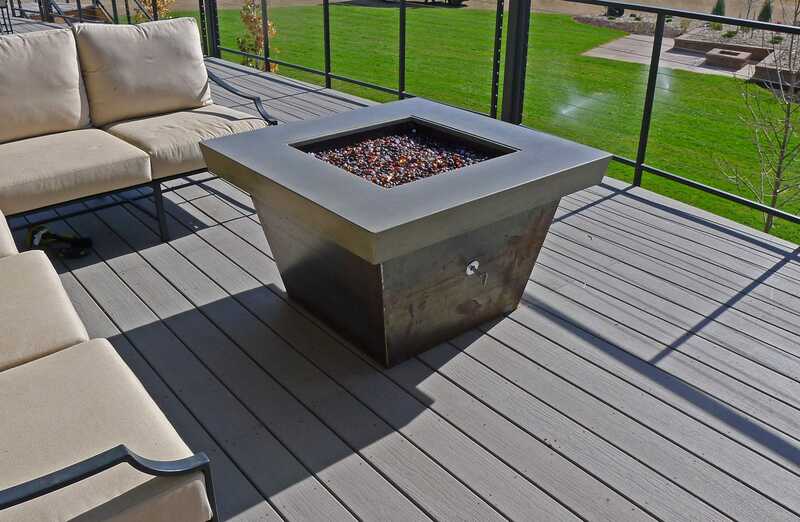 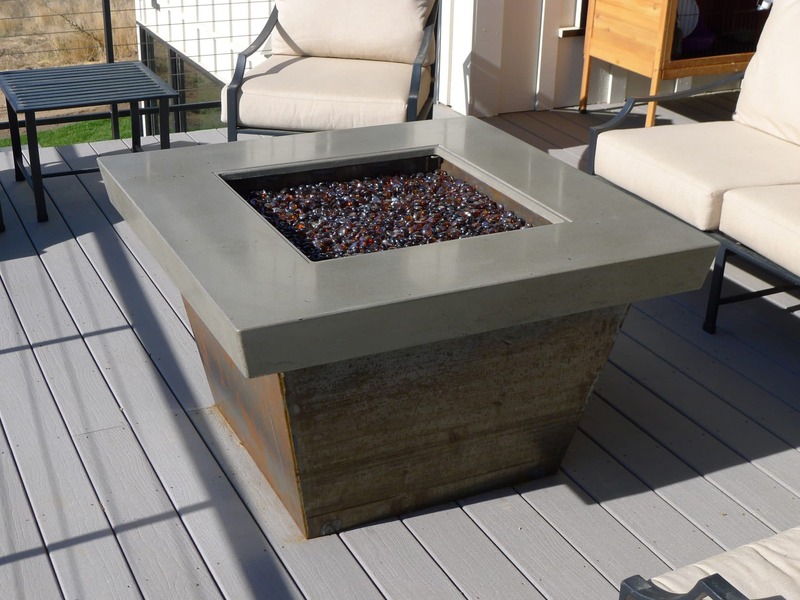 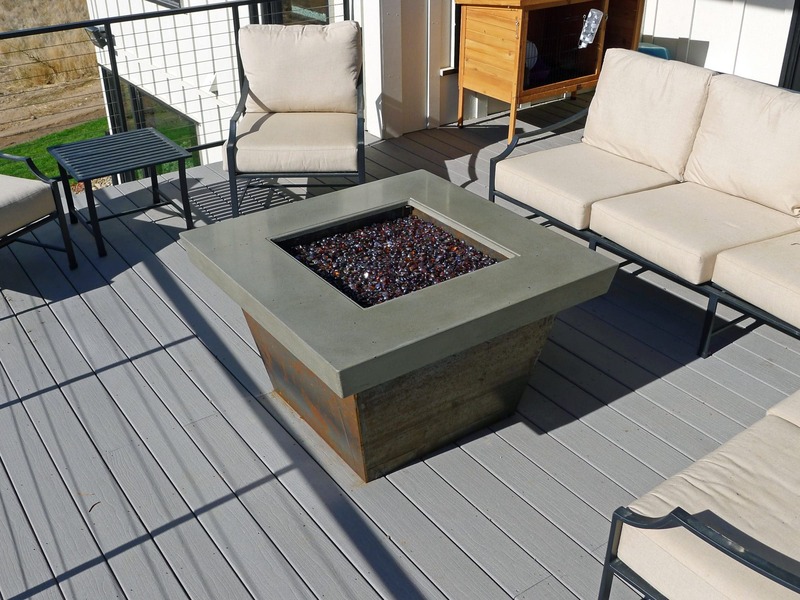 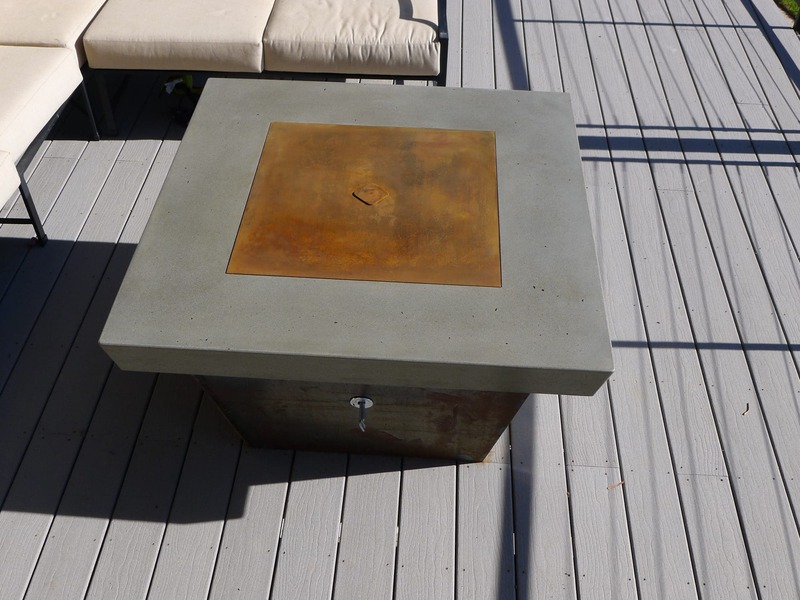 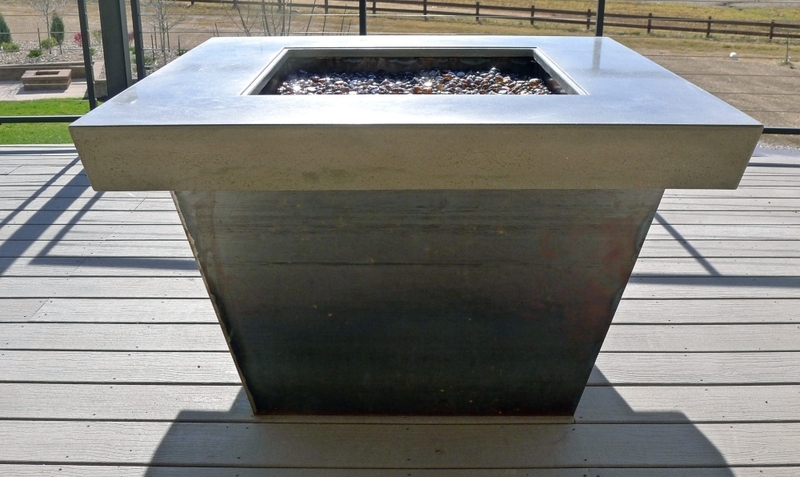 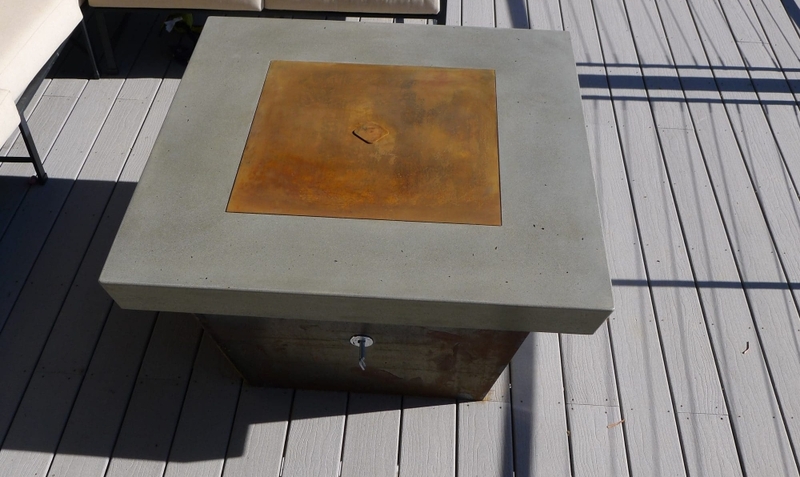 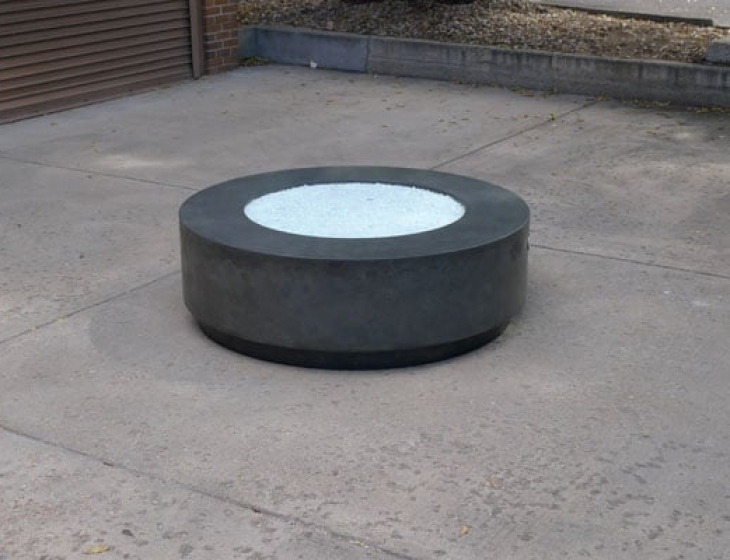 Concrete and Cor-Ten steel fire pit. 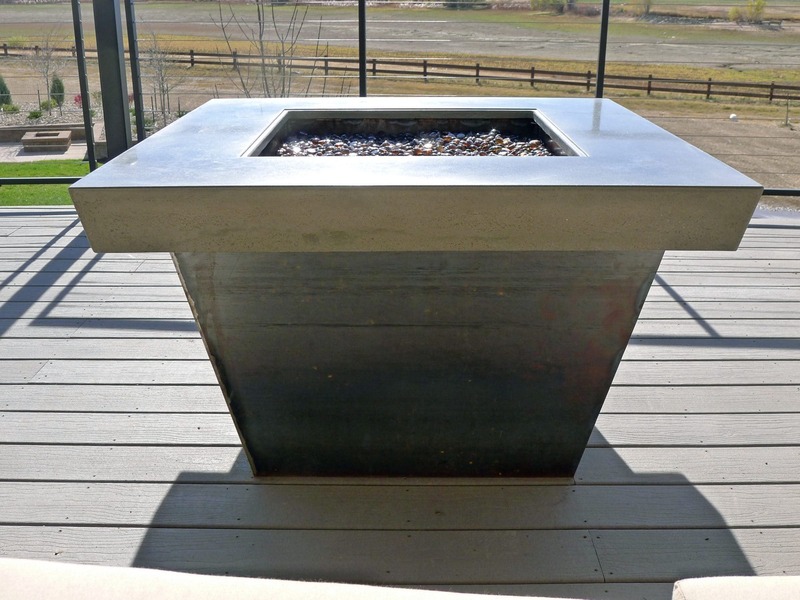 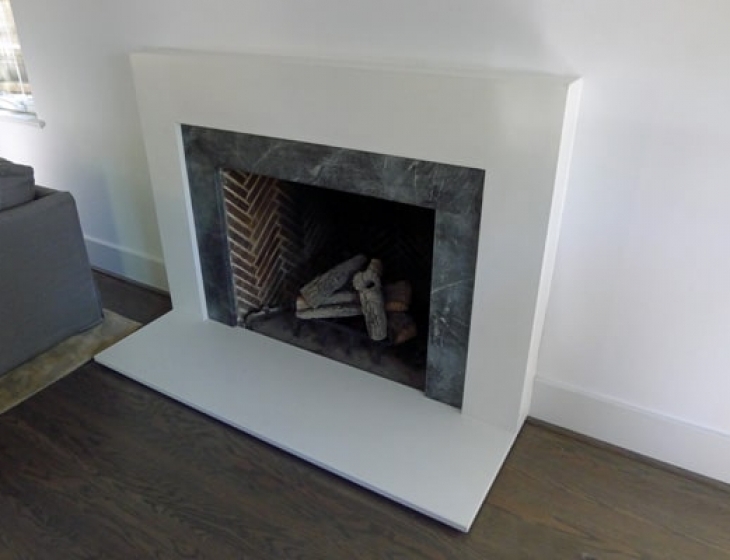 The concrete top is fabricated with a 15 degree bevel to match the angle of the base. 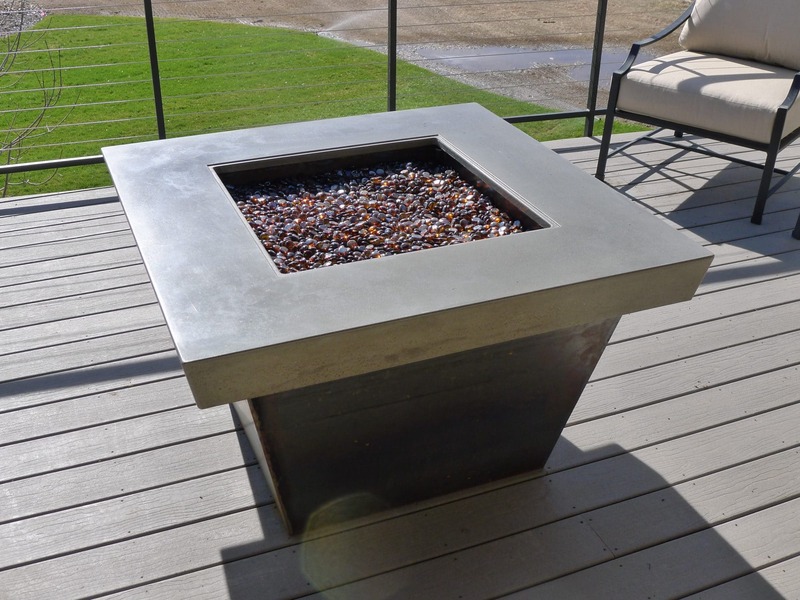 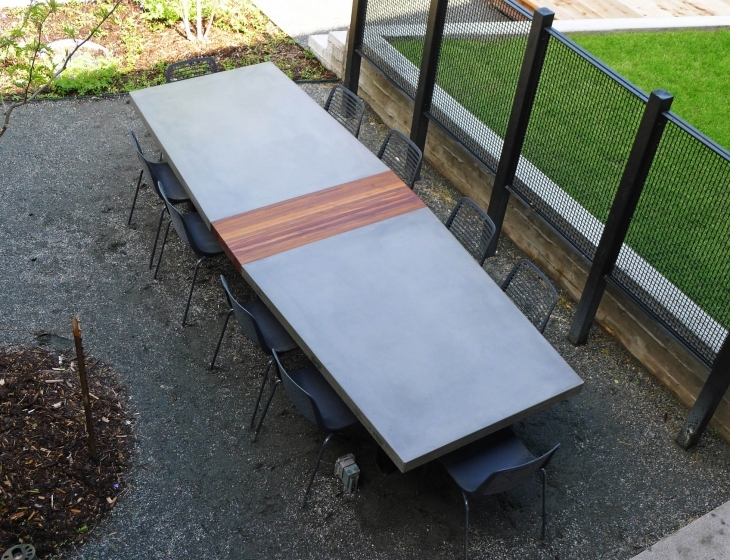 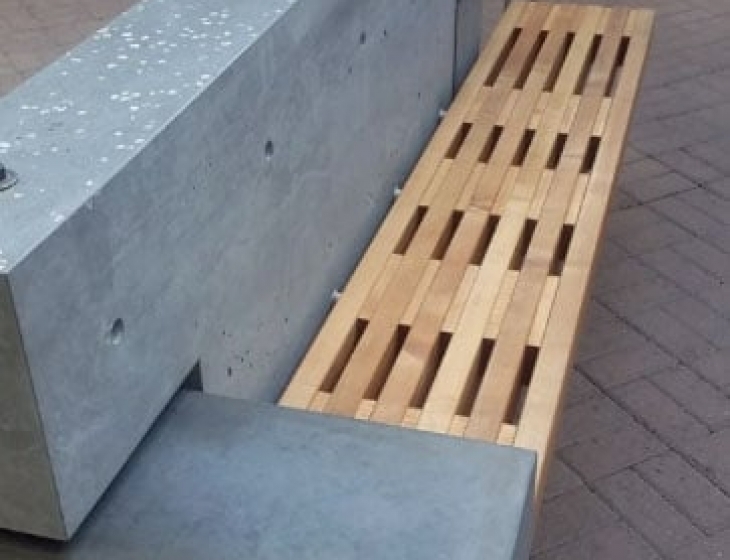 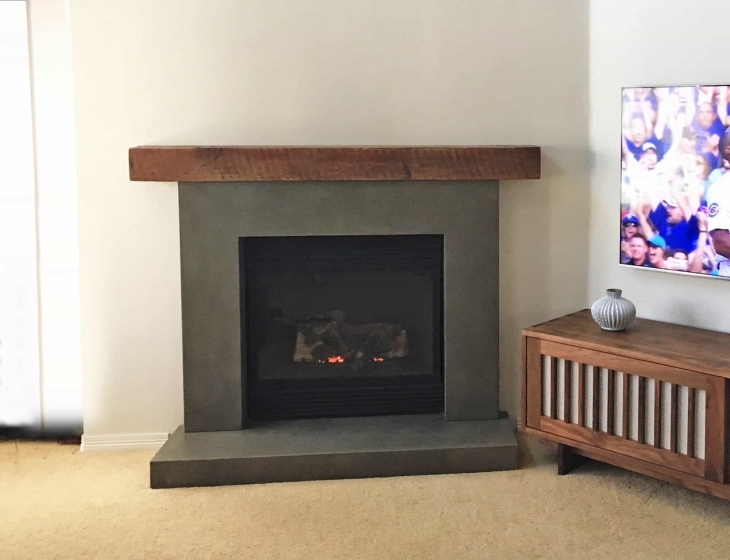 Corten steel, or weathering steel, is designed to oxidize to a stable rust finish that looks amazing paired with artisan concrete.